The other day, my fiance and I shot a scene together on a sound stage. He is an actor, and I am not, so the whole experience was spatially overwhelming to me– take five steps and you’re at city hall, three steps and you’re in a museum, seven steps and its a hospital. So much transition and all within one maze of a warehouse. I really loved the space behind the lights, away from the camera, where the filming was not happening. The partial walls, wires, and messy floors. This is not unusual of my character. When I was a kid, my mom took me to see Peter Pan in the theater– the whole time I had my back to the screen, staring inquisitively at the camera projector more so than the movie. I loved the flickering light floating through dust, and actually, come to think of it, I still do. 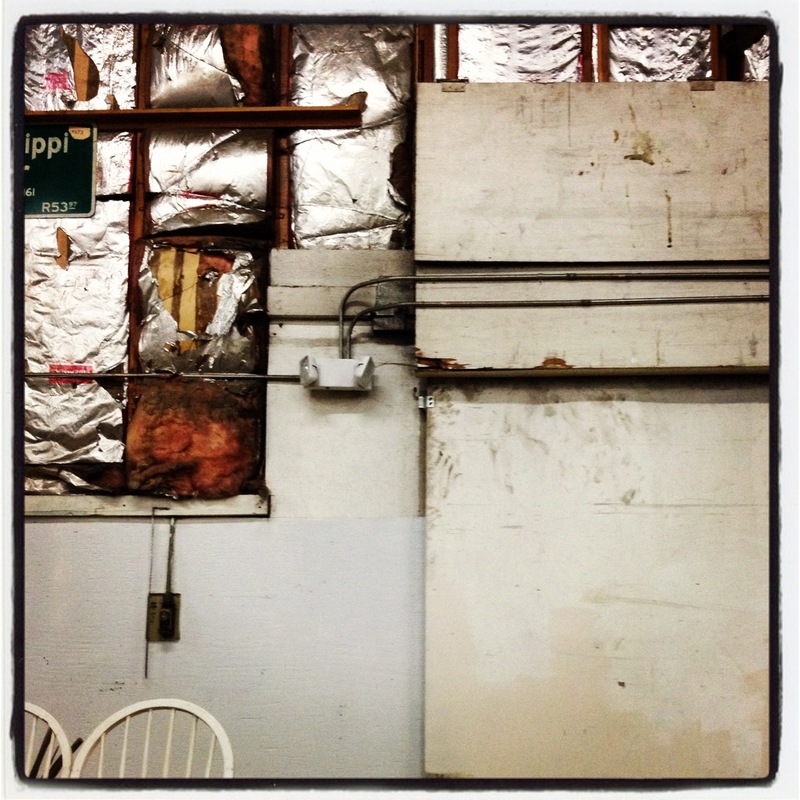 This particular backstage wall reminded me of a Robert Rauschenberg piece. So, I snapped a photo with my iPhone (above). It was a wonderful day.